We offer *full service waxing hair removal in a professional and private waxing salon in Dupont, Washington. We use a variety of high quality waxes to provide a comfortable and effective experience for all skin types. For best results, please allow ¼ inch of hair growth minimum for all body waxing. Please trim body hair accordingly where hair growth exceeds ½ inch. 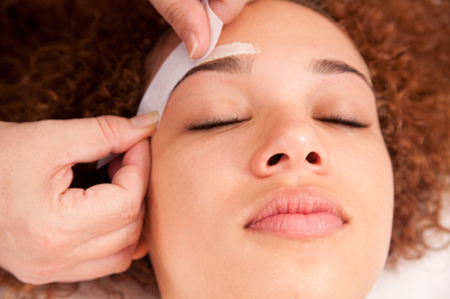 Purely Skin’s waxing services effectively remove hair but can create sensitivity of the skin. Please review this list of precautions and suggestions to help ensure a successful waxing experience. Use of the above must be discontinued at least a week prior to waxing hair removal with the exception of Accutane, which must be discontinued for at least one year. Waxing hair removal affects tanning and is not recommended within a minimum of 24 hours of tanning. There is an increased risk of sunburn and hyperpigmentation after waxing. Since the skin is slightly exfoliated with waxing, spray tanning may be removed. Numbing cream is available if you find that you are sensitive to waxing.